Today is the Great and Holy Sabbath. All is silent. 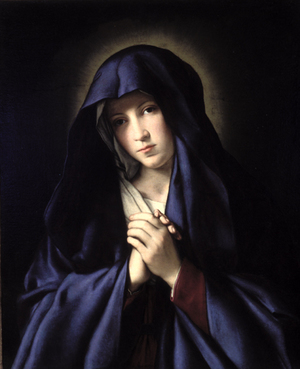 Today belongs to Mary, Virgin Mother of Him whose Sacred Body lies shrouded in the sepulchre. This morning after Prime, I invited the brethren to spend today in Mary's company, close to her sorrowful and immaculate Heart, just as Saint John must have spent that first Holy Saturday in her company, sharing in the sorrows of her sword-pierced soul, and entering into her silence. On that first Holy Saturday, the hope of the Church was enclosed in Mary's Heart, burning there like a fragile flame in a world suddenly grown cold and empty. One who remains close to Our Lady in the Holy Saturdays of life will never be without hope. and to gather lilies. . . .
until it please. . . .
Last night He sat with us at table. beat His Heart of flesh. the pulse of every of other beating heart. 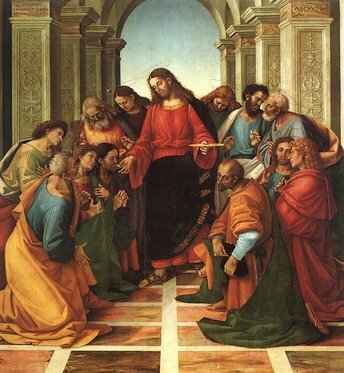 glorify thy Son that the Son may glorify thee” (Jn 17:1). Desiderio desideravi . . .
to eat this pasch with you before I suffer” (Lk 22:15). 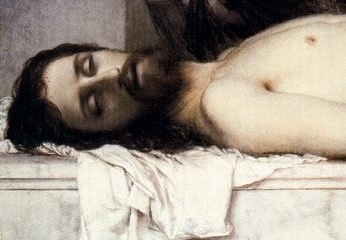 which shall be shed for you’” (Lk 22:19-20). In that moment, the Sacrifice was already accomplished. 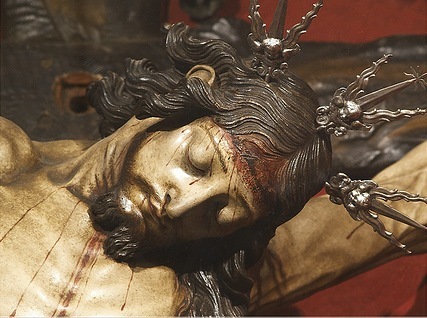 The wood of the supper table fused with the wood of the Cross. “God will provide himself the lamb for a holocaust, my son” (Gen 22:8). Continue reading Et tu aperuisti lancea latus meum. he is deliverance and freedom. of his prayer to the Father. before the foundation of the world” (Jn 17:24). Continue reading Illuminet Vultum Tuum Super Nos.